Are you looking for affordable, flexible office space for your business? 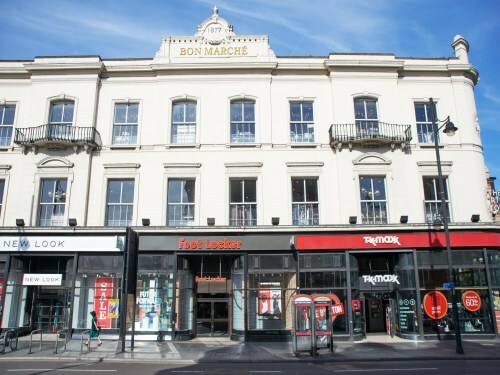 Right in the centre of vibrant Brixton SW9 you'll find the Bon Marché Centre building next door to Marks & Spencer, just one minute from either Brixton tube (Victoria Line night tube) or from Brixton Railway Station. Click here for location map. The Bon Marché department store was an historic 100,000 sq.ft. Edwardian building built in 1877. 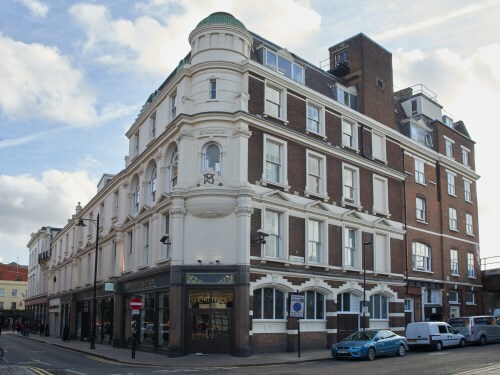 It was the first purpose-built department store in the UK. It has been converted into a Business Centre with 70+ office units and 5 Retail Shops - our offices have high ceilings, picture windows and good natural light. We have a selection of refurbished offices available now to rent - from 1-2 person offices suitable for start-up companies and budding entrepreneurs, to larger rooms, multi-room offices and open-plan offices - we are sure we will have something that is just right for you. Our office units range from 100 to 700 sq. ft.
Our easy-in, easy-out tenancy at will agreement gives you flexibility. With only a month's rent as deposit and one month’s rent in advance you can be up and running straight away. Our tenancy at will agreement means you can stay as long as you want to and you can expand or contract your office space to your requirements - you can move out exactly when you want to. We have an interesting mix of tenants, e.g. IT, graphic design, fashion, media, PR, charities, architects, advertising, etc. If you're looking for a great place to work with excellent transport links, call Nigel on 020 7274 4000; or use the contact forms on this web site; or email: bonmarcheoffice@aol.com to arrange a viewing. 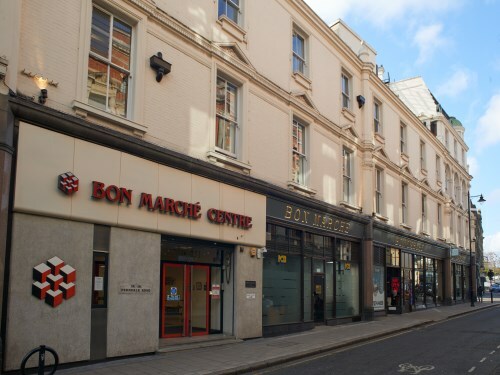 The entrance to the Bon Marché Centre building is round the corner from TK Maxx, in Ferndale Road.